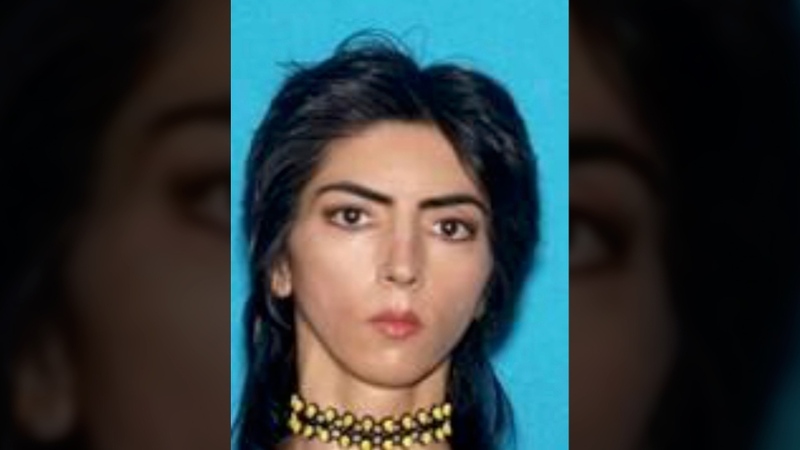 MENIFEE, Calif. -- Just hours before she shot and wounded three people at YouTube headquarters, Nasim Aghdam calmly told police who found her sleeping in her car that she was having family problems and had left her home. During the 20-minute interview with officers early Tuesday, she did not mention being angry with YouTube or having accused the company of suppressing her video posts. She gave no indication she was a threat to herself or others. "It was a very normal conversation. 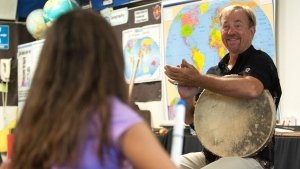 There was nothing in her behaviour that suggested anything unusual," said Mountain View Police Chief Max Bosel. Later that day, she went to a gun range before walking through a parking garage into a courtyard at YouTube's campus south of San Francisco, where she opened fire with a handgun and wounded three people. She then killed herself. The sequence of Aghdam's activities emerged Wednesday as police continued gathering information about the attacker and her motives. Agents with the Bureau of Alcohol, Tobacco, Firearms and Explosives searched two Southern California homes where Aghdam had lived. Spokeswoman Ginger Colbrun would not confirm the locations but reporters saw agents entering homes in the communities of Menifee, southeast of Los Angeles, and 4S Ranch, north of San Diego. Aghdam was a "really good person" and had no history of mental illness, said a woman named Leila who identified herself as an aunt as she entered the family home in Menifee. She did not give her last name. The shooter's family later distributed a statement outside the home saying it was "in absolute shock and can't make sense of what has happened." "Although no words can describe our deep pain for this tragedy, our family would like to express their utmost regret, sorrow for what has happened to innocent victims," the statement said. Investigators do not believe Aghdam, who was in her late 30s, targeted anyone in particular, and there is no reason to believe she illegally obtained the semi-automatic 9mm pistol used in the shooting, San Bruno Police Chief Ed Barberini said. Aghdam walked onto the YouTube property through a parking garage and it's not clear whether she encountered any security. 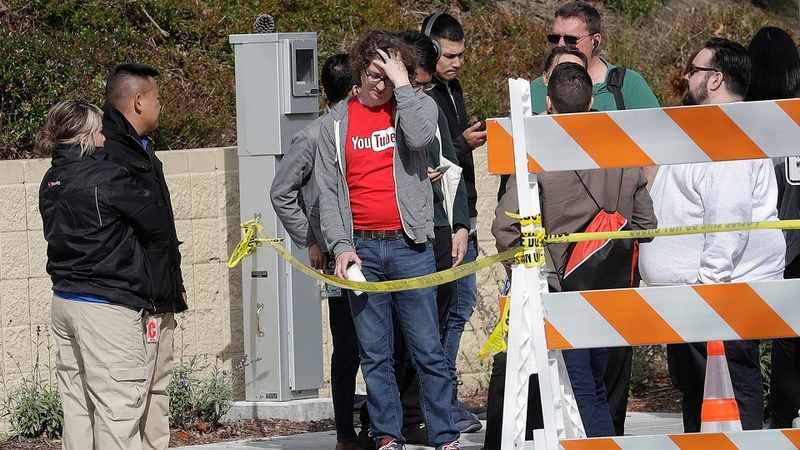 The day before the attack, the shooter's father, Ismail Aghdam, said he warned police that his daughter was upset with how YouTube handled her videos and might be planning to go to its offices. Nasim Aghdam "hated" YouTube and was angry that the company stopped paying her for videos she posted, Ismail Aghdam told the Bay Area News Group. Her video posts included segments about veganism, animal cruelty and exercise, along with glamor shots of herself. Police in Mountain View said they spoke to Ismail Aghdam twice after contacting the family to report finding his daughter and that he never told them she could become violent or pose a threat to YouTube employees. When officers found Nasim Aghdam, she was in her car near a strip mall in Mountain View, about 25 miles from YouTube and home to the company's owner, Silicon Valley giant Google. She told Mountain View police who spoke to her around 2 a.m. Tuesday that she had come to the area to stay with relatives and was looking for a job, police said. They let her go, saying there was no indication she needed to be detained. Later in the day, she went to a gun range not far from the YouTube headquarters. Police visited the range Wednesday. Nasim Aghdam used the name "Nasime Sabz" online, a law enforcement official with knowledge of the investigation told The Associated Press. The official spoke on condition of anonymity because the official was not authorized to discuss the case. A website in that name decried YouTube's policies and said the company was trying to "suppress" content creators. "Youtube filtered my channels to keep them from getting views!" one of the messages on the site said. "There is no equal growth opportunity on YOUTUBE or any other video sharing site, your channel will grow if they want to!!!!!" YouTube had no immediate comment about any actions related to Nasim Aghdam's videos, spokesman Chris Dale said. The company said in a statement it has encouraged employees to take time off or work from home and will increase security at its headquarters and offices around the world. Thanawala reported from San Francisco. Associated Press writers Michael Balsamo in Los Angeles, Ryan Nakashima in San Bruno, Calif., Janie Har in San Francisco and Eric Tucker in Washington contributed to this report. 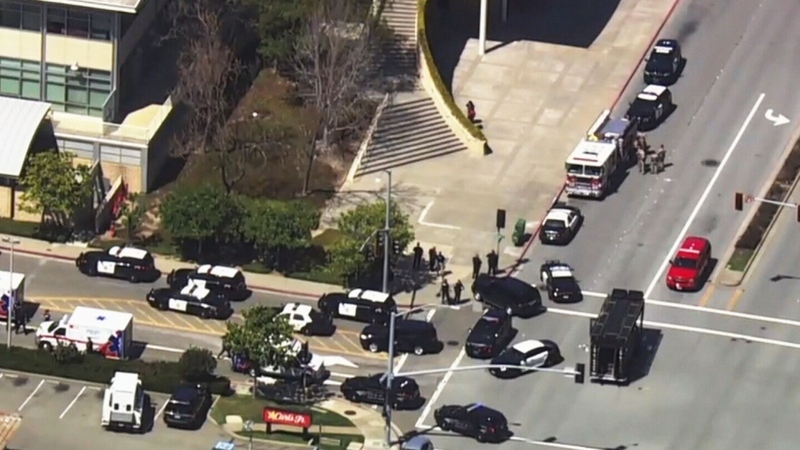 A police presence in seen in San Bruno, Calif. outside YouTube headquarters on April 3, 2018.